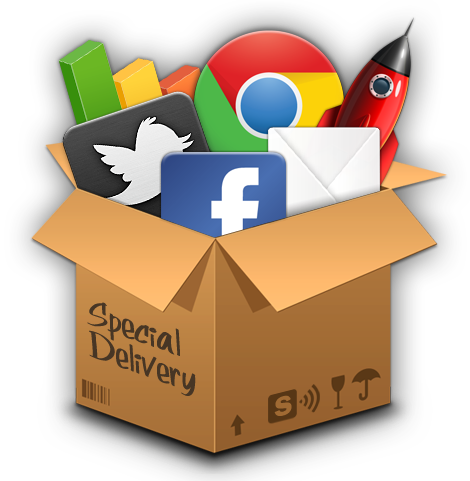 Social media and online marketing open your business door to the world! Personal and professional connections help your business grow, and these authentic and transparent connections build brand loyalty. Social media gives you a platform to share great news about your products and services, and gives you limitless relationship-building opportunities! It’s a great way to get your business name out there, and really connect with your patrons, clients and friends. Just like your website, your social media pages need to portray who you are and be the face you want the cyber-world to see. From Facebook, to Twitter, to LinkedIn and others – they need to be authentically you and coordinate your brand like a great outfit. We’ve got some excellent online marketing and social media strategies on our end, and we’re excited to help your business grow. We offer social media management packages, engaging with your customers and offering analytics to show you what’s happening. Starting a new business? Introducing new products or services to market? Or are simply not “on top” of your social media? We offer integrated digital marketing campaigns. And we’re thrilled to help you reach your goals. Have you ever wondered how campaigns go viral? There’s a system to it… and we get it! Whatever your online marketing and social media needs may be – we can work with you to make them a reality. Give us a shout at naomi@relyoncreative.com and we’ll show you how.